Having life insurance is a great tool in planning for your future and providing assurance for your family members after you die. But did you know that for tax purposes, the proceeds from a South Florida life insurance policy become part of your gross estate if you owned the policy during the last 3 years of your life? 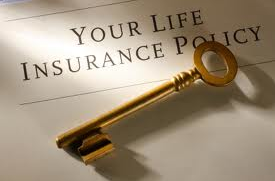 This occurs for over 90 percent of all life insurance policies. Your family receives life insurance death benefits, which is tax-free income that they will use to pay for funeral expenses, debt, estate taxes and to fulfill any other financial obligations. If your estate is valued over the $5 million estate tax threshold, anything pouring over that threshold will be taxed at a rate of 35 percent. This means that your life insurance will be taxed along with all the other assets in your estate. But don’t worry there is hope. A qualified and well-experienced South Florida Estate Planning attorney can strategically structure your estate in order to shield your family from the bullets of such heavy taxation. This can be accomplished through the creation of an Irrevocable Life Insurance Trust (ILIT). This is a legal instrument that removes the life insurance from your estate and transfers the benefits into the ILIT. The result- less taxation and increased asset protection for your loved ones. Since the ILIT is a separate South Florida legal entity that is outside your estate, the IRS cannot impose a tax on the assets held in the trust because they are no longer within your control. You may designate your spouse, child, or other appropriate party as the beneficiary of the trust and provide detailed instructions to the designated trustee regarding management of the trust. This includes how you would like the life insurance payout to be distributed, when payments, loans or investments should be made, and when to terminate the trust. Establishing an ILIT today with a caring and knowledgeable attorney will ensure your family will be guarded against the burdens of heavy taxation and unnecessary liability in the future. 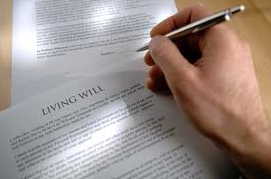 A Living Will, also known as an advanced directive, is a legal document, which allows you to express your wishes regarding medical treatment in the event you become physically or mentally incapacitated. This is typically used when a patient is in a vegetative state and needs life support to be kept alive. This form allows you to communicate your desire to have your life artificially prolonged or not. If you do not have a properly executed Florida living will, you will be kept alive artificially irrespective of your wishes to die naturally or the financial and emotional costs to your family. There have been too many heartbreaking stories absent a living will in place, where family members have become embroiled in quarrels as to what a loved one would have wanted. We all remember Terri Schiavo from St. Petersburg, Florida who had been in a coma for years and did not have a living will. There was bitter contention between her husband and her parents as to whether Terri would have wanted to be hooked up to life prolonging medical procedures. After seven long years and countless court cases, the Florida Legislature, U.S. Congress and Supreme Court became involved, before it was finally ordered that her feeding tube be removed. Don’t let this happen to you. Get your living will in place today. 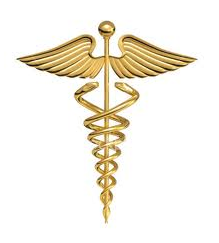 Designating a Health Care Surrogate will ensure you have someone you trust to make medical decisions on your behalf. It is also important to designate a Durable Power of Attorney to manage your financial affairs in the event you become mentally or physically unable to do so. Consult with a qualified South Florida Estate Planning Attorney who will properly advise you and prepare these critical legal documents so you can rest assure your wishes are fulfilled. After all, when it comes to your health and your life, there is no one better to take control than yourself. 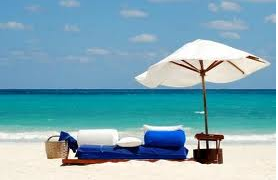 We all love to take a break occasionally from our busy lives and enjoy a vacation that will help us decompress. Many of us own a vacation home that is the source of our retreat. Whether we are escaping to our condos on Florida’s South Beach or to a cabin on New York’s Lake George, we rarely stop to consider one thing. Vacation homes are a valuable asset that should be protected by South Florida estate planning. The most common method of asset protection is through the formation of business entities or trusts that will hold title to the property. A popular type of entity organization is the Limited Liability Company (LLC). This is a family/business operation that is treated like a corporation but is taxed as a partnership. This provides liability protection for family members from claims of those injured on the property and reduces the risk of creditors staking a claim on your asset. A family Limited Partnership can be created, which is similar to an LLC but has more restrictions on transferability of ownership. There is also the option of establishing a Family Trust or Irrevocable Trust. A trust is a separate legal entity, which becomes the legal owner of the real estate. An attorney can help you structure a trust to protect your house from creditors, allow for management by the parents during their lifetime, and protect the house in the event a child becomes divorced. The advantage of a trust is that it offers the most control over your asset and is typically used to keep a house in the family for generations. To help preserve those valuable memories from past family vacations and to build many more, sit down with a qualified estate-planning attorney to map out the future of your home. Learn how to protect your property from creditors and potential family disputes regarding its use, management, and future expense sharing. 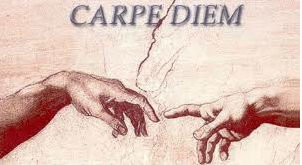 Surely we are all familiar with the old adage “Carpe Diem.” This popular Latin phrase translates into “seize the day,” “live life to the fullest,” or “live each day as if it were your last”. But what does it exactly mean to live the day as if it were your last? Tim McGraw probably best summed it up in his heart-felt hit song “Live Like You Were Dying.” He would go skydiving, rocky mountain climbing, ride 2.7 seconds on a bull named Fumanchu, love deeper, speak sweeter and give forgiveness he’d been denying. Most people however would not stop to consider what would happen to the people they would be leaving behind. In other words, how to reach out to their loved ones by making sure they are fully protected. It’s bad enough your family members will be in mourning and grieving your death after you are gone. The last thing you want to do is subject them to serious financial consequences because you didn’t get your estate in order. With the help of a caring and well-seasoned attorney, you will be able to best structure your assets while minimizing estate related taxes and protecting your loved ones from claims of third party creditors. There is a medley of estate planning tools that you can choose ranging from Trusts, Wills, Powers of Attorney to Health Care Surrogates. A qualified and well-experienced attorney will guide you through the process and equip you with these necessary tools so you can rest assure your family is well protected after you’ve finished living your life to the fullest. 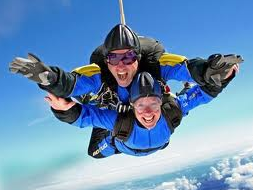 So the next time you are contemplating jumping out of an airplane, think about your family first. After all, you only get to die once…so seize it the right way. Did you know that an estimated 71.4 million U.S. households own at least one bird, fish, reptile, cat or dog? 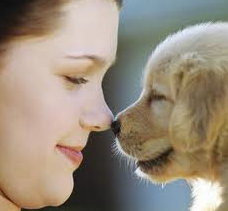 It cannot be denied that pets are our beloved companions in life. Animals have played an important role in the lives of human beings since ancient times. For example, just look at ancient Egyptian civilization. Different kinds of creatures were highly revered and perceived as representations of deities. A number of mummified cats and carefully wrapped dogs have even been found in Egyptian tombs buried along side their owners! Animals played a significant role in Greek Mythology and the concept of animal spirits that can be called upon for protection & help is evident in Native American cultures. In today’s society, it is common practice to treat our furry friends as part of the family. And with family, we all know how important it is to make sure they are protected when we die. It is becoming increasingly popular in today’s culture to include pets in our South Florida estate plans through the creation of a Pet Trust. No one can demonstrate this better than real estate mogul Leona Helmsley and Florida heiress Gail Posner. Helmsley left millions in her pet trust fund so her precious Maltese poodle would be taken care of according to her wishes. Posner left $8.3 million Miami mansion and $3 million in her trust fund to her overly pampered Chihuahua. Florida law defines animals as personal property and like other such property are subject to the probate process. So even though Fluffy the cat may seem as part of the family, under the law, Fluffy is just considered akin to a car or piece of jewelry. Not taking Fluffy into account could mean he will end up in a shelter, put to sleep, or thrown out onto the street to fend for himself. For some peace of mind, creating a Pet Trust will ensure the easy transfer of the ownership of pets to make sure they are in good hands after you die. Or, you can follow the ancient Egyptian approach and just have Fluffy join you underground.